There were 6.9 million job openings in November, down from 7.1 million in October. The number of people hired was 5.7 million. The number of people who voluntarily or involuntarily left their jobs was 5.5 million. Of those who left their jobs, 3.4 million quit. That means many job seekers feel confident enough in the strength of the labor market that they’re willing to leave a stable position for a better opportunity. The number of people laid off or who otherwise left their companies involuntarily was 1.8 million. In the last 12 months, companies hired a total of 68 million people, and 65.6 million workers left their jobs — a net employment gain of 2.4 million. Overall, there were more job vacancies (6.9 million) in November than people looking for work (6.0 million). That means there’s less than one available candidate per open job in the U.S. right now! As such, it will continue to be challenging for hiring managers to recruit the best talent due to strong competition for workers. Don’t drag out the hiring process. 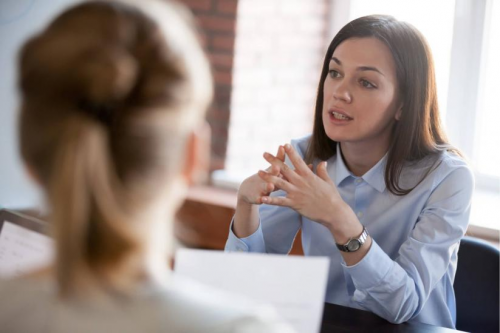 When top candidates have multiple options — which many do today — they’ll accept an offer at another firm if you ask them in for too many interviews or drag your feet in making a decision. Speed up your hiring process, if possible. Highlight your culture. Even for an ideal job, 35 percent of workers said they wouldn’t take a position if the organizational culture wasn’t a fit. In interviews, promote the strength of your firm’s culture, including opportunities for training and how you recognize or reward strong performers. Offer competitive compensation. To attract the right people, make sure starting compensation is on par with or above what competitors are providing. And don’t forget about perks and benefits. Need a network that you can ask questions and get answers? NISA can help put you in the forefront with other staffing businesses just like yours! WE HAVE THE KNOWLEDGE BASE TO HELP YOU SUCCEED!